These charming garden light wedding invitations feature a lovely tree with delightful little fairy lights and strings of lanterns. The tree trunk has a love heart with an arrow together with the bride and groom’s initials. The date is also on the tree trunk. The white typography and the lights look really effective on the background. There are 7 designed color palettes to choose from: Plum, Kraft, Lavender, Midnight, Navy, Cool Grey and Blush. 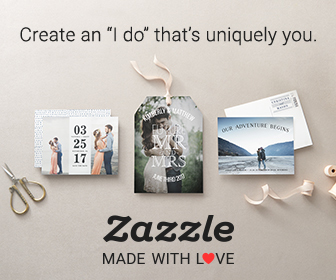 These wedding invitations are available in 3 different sizes. There is the Classic 7×5 inch, the Petite 6×4.25 inch and the other option is the 7×5 inch Minibook Card. There is also an option to include gold foil pressing for some of the elements on the invitation and on the matching stationery. Matching stationery available for this design includes. RSVP cards, reception cards, direction cards, thank you cards, postage stamps, thank you cards, place cards, table numbers, wedding programs, menus, favor tags and favor stickers. 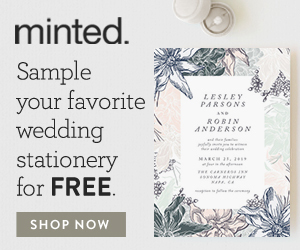 You can also purchase stationery for the pre-wedding events such as the rehearsal dinner invitations, save the date cards and engagement party invitations. If you love this design and would like a full stationery suite then this as a perfect choice plus you also get a free website to go with it all. These garden light wedding invitations were designed by Hooray Creative.